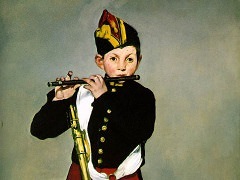 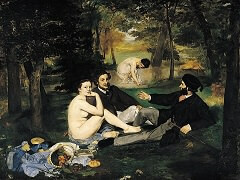 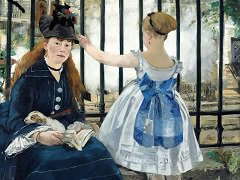 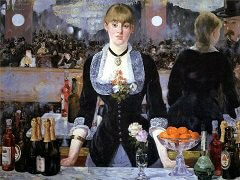 When Manet painted this piece, scenes of bourgeois life were in vogue. 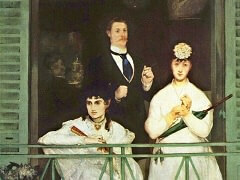 Yet The Balcony went against the conventions of the day. 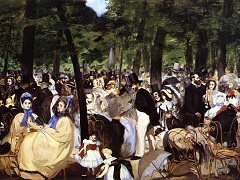 All the subjects were close acquaintances of the artist, especially Berthe Morisot who here, pictured sitting in the foreground, makes her first appearance in Manet's work, and who went on to become one of his favourite models. 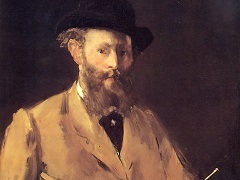 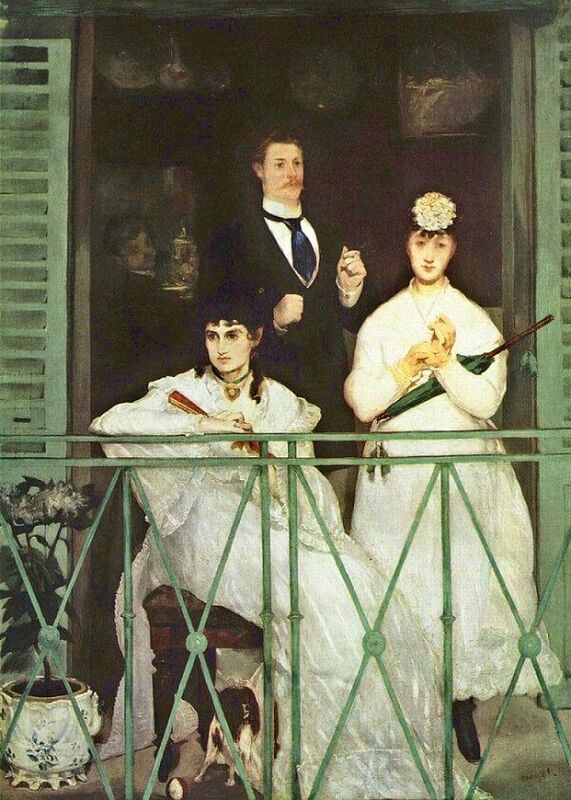 The painting tells no story or anecdote; the protagonists are frozen, as if isolated in an interior dream, evidence that Manet was freeing himself from academic constraints, despite the obvious reference to Majas at the Balcony of Francisco Goya.